Earn $39.90 in VIP credit (3990 points)What's This? The Race Face Turbine R 27.5" Front Wheel boasts a 30 mm internal-width rim made from strong 6069 aluminum alloy that gives it the highest impact strength of any rim from Race Face or Easton. 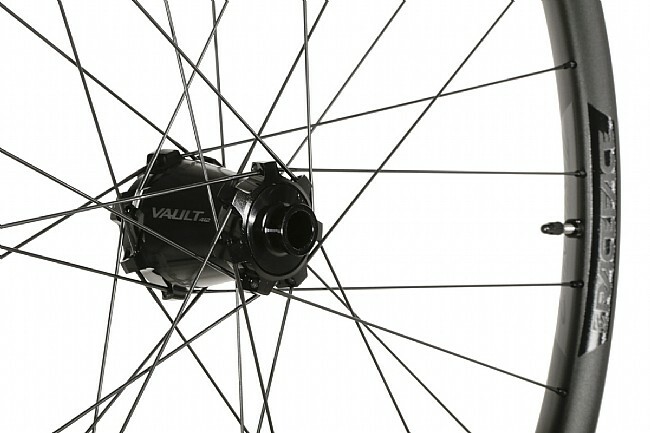 A 4.5 mm offset, asymmetrical rim design creates even spoke tension between drive- and non drive-side spokes, and they lace 3-cross to Race Face's Vault rear hub, designed with wide spacing between the 6902 cartridge bearings and an oversize hubshell for maximum durability and stiffness. 28 spoke count. Tubeless ready. 460 g rim weight. 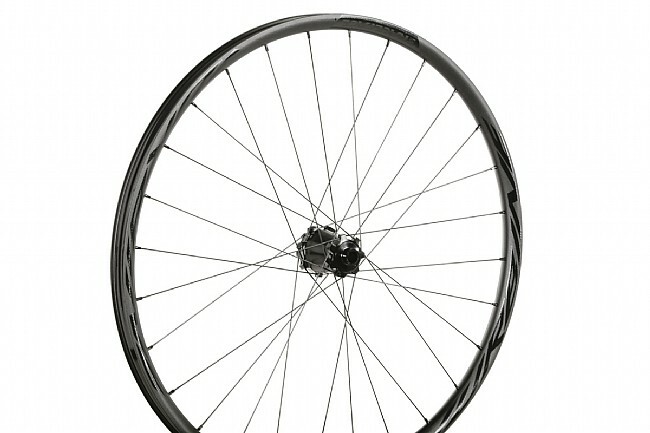 Combined claimed wheelset weight with rear wheel is 1730 g. Available in 15 x 100 mm or 15 x 110 mm Boost spacing. The 100 mm option is convertible to standard QR, 20 x 110 mm, or 15 x 100 mm Torque Cap with tool-free changeable end caps (sold separately). Boost model is also convertible for use with Torque Caps. Bought these (purchased the front and back since it is not sold as a set)through Biketiresdirect.com because they are the only ones that have them for a great price. Sign up to their newsletter and use the discount and be glad that you did. Called over the phone and the customer service was FANTASTIC and the gentleman that helped me was Andrew, great guy and knows his stuff. He told me after checking that I could use the discount(15%) and applied it to my purchase. So not only did I get my wheels cheaper than ANYONE would've offered me but I also got credit towards future purchases, DOUBLE WIN!! Once the wheels got here I was amazed at the build quality, how light , how stout and the quick ratcheting of the weird looking hub. Tires are a bit hard to put on but once on they stayed on. Added sealant and was off to one of the local trails. Not only did I have to get used to the new added grip of the width of the tire but the 120 POE on the rear wheel made it easier to go over roots on a uphill plus it saved me 2 times from what could have been washouts on my old wet. Turns(flat or bermed) were WAAAAAAAAAY easier to do. Did a few small roller jumps and landed with confidence. This wheelset is a confidence booster for sure. OVERALL VERY and COMPLETELY SATISFIED with BTD and the wheelset. I am now a customer to BTD.